Unlock the spiritual possibilities of Mahashivratri night with this powerful process guided by Sadhguru. 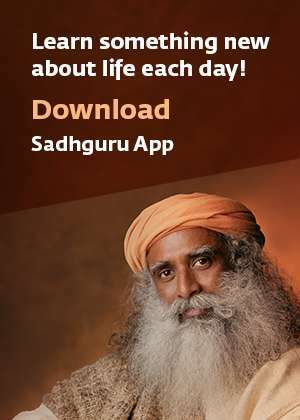 It is Sadhguru’s wish that all should participate in this process at midnight wherever they are. The process will last approximately 50 minutes. Please follow the instructions given by Sadhguru throughout the meditation. Start the video below at 11:30 PM in your own time zone. Those who cannot be at the Isha Yoga Center during Mahashivratri can make use of the night in the following manner. It is most beneficial to stay awake, aware and in a vertical position throughout the night, without lying down. You can prepare your room by lighting a lamp or a Linga Jyothi, and placing a Dhyanalinga Yantra or Sadhguru’s picture, flowers, incense etc. You can chant, sing or listen to devotional songs and chants. If alone, it is good to take a walk or be with nature. If in a group, it is good to be silent as far as possible. If you are following the celebrations through live telecasts and webcasts, you can follow the meditation instructions given there. Should I follow the timings according to India time or my timezone? For example, should I do Midnight Meditation at midnight in my timezone or India time? Please follow the timings of your timezone. For example, the Midnight Meditation should be done at midnight in your timezone. The streaming stopped unexpectedly. What do I do? 2.Try switching to a different browser. Standard ones such as Firefox, Chrome or Safari work best. Try to get the latest browser version. 3.Verify your Internet is working & has a minimum speed of 512kbps. If this does not resolve your issue, please use the chat widget at the bottom right of the page. We will be able to assist you in solving technical issues. What are the other ways I could watch the live event? We stream in YouTube & Facebook. The live event is also available in the multiple TV channels. What are the languages in which the live webstream is available? Can I do the midnight meditation at midnight in my timezone? I’m located outside of India. Should I watch this live or should I watch in my own time zone? For overseas viewers, please watch the live webstream delayed, so it starts in the evening in your time zone. Is this webstream in HD (high definition)? Yes. The Youtube webstream on this page is available in high definition (720p). Will a recording of the event be available after the live webstream? The archives of the event are available for a limited time. While the event is underway, we are also providing recorded versions of the completed performances at linked. The archive will be available as a Youtube playlist. If you want to watch these while the event is underway, you may need to periodically refresh the page to see new archive videos in the playlist. I have a question which is not answered in this FAQ. What do I do?